An immigrant’s relationship status with Facebook post-data breach? It’s complicated. I admit it: I have enjoyed quite a few Facebook games and quizzes. And recently, I found out that in my quest to discover whether I am conscientious, open-minded, an extrovert or neurotic, I may have also compromised my personal data and that of all of my Facebook friends. 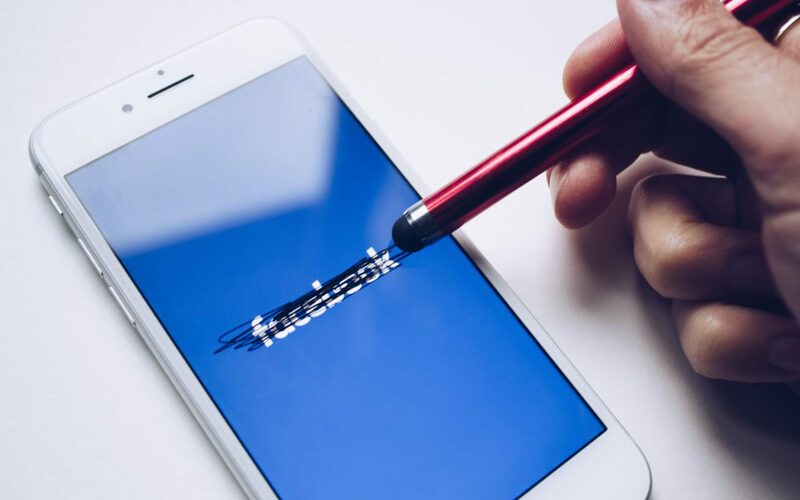 Facebook confirmed in recent days that roughly 305,000 of its users installed a personality test app that made the data breach of up to 87 million users possible. The data is said to have been taken by data mining company Cambridge Analytica to glean insights and target users with information intended to influence their choices in the 2016 presidential election. Now, I’m among the many people who are contemplating deleting Facebook from my daily routine. But the decision to deactivate my Facebook account is hard, especially given that a lot of Facebook friends live thousands and thousands of miles away. I immigrated to the United States from Pakistan in 2003. Those were the days of dial-up connection, unreliable Internet and common chat rooms like MSN and Orkut. My family in Pakistan stayed abreast with my well-being in the United States through pictures sent by snail mail and through relatives’ visits. To have a telephone conversation long enough to go beyond pleasantries meant spending more than $50. In 2006, when my first daughter was born, I sometimes spent hours uploading pictures on the available virtual options to share her pictures with family in Pakistan. Then Facebook came along. On September 26, 2006, Facebook opened up for anyone older than 13 with a valid email address. The experience was life-changing. I signed up in 2007 and, within a year, was reconnected with much of what I had left behind in Pakistan. Facebook communication revived old friendships, and we poured our missed years on “the wall” with pictures and comments. Family weddings, birthdays and deaths,in happiness and in sorrow, we connected through Facebook. When my grandmother passed away in October 2015, our family from Pakistan to Australia eulogized and came together through Facebook. Since 2006, Facebook has been a source of communication, networking and entertainment for about 2.2 billion people. That amounts to more than a quarter of the world’s population. Diana Cardenas has always been concerned about her privacy settings on Facebook. 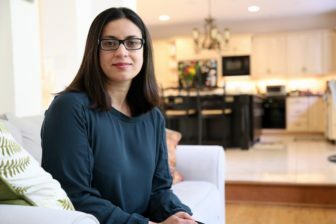 Originally from Monterrey, Mexico, and currently a resident of Franklin Park, Cardenas and her family frequently uses Facebook, not only to connect with family and friends in Mexico but also to stay connected with community networks in Pittsburgh. She feels that Facebook is a more flexible app than some others she’s used before. But Cardenas said she wishes there was a parental lock on Facebook. And there are tempting items on Facebook for even Cardenas. She recalled one feature that would turn her picture into a Barbie. She wanted to do it, but she stopped herself. “It’s a scam, let’s avoid it,” she’ll tell herself and her daughter. Mark Zuckerberg, Facebook’s founder and CEO, admits that their platform’s policies at the time of the compromised 2014 personality test were set up in a way that third-party app developers were able to “access tens of millions” of users’ data. It is now known that the U.K.-based Cambridge Analytica worked closely with the Trump campaign during the 2016 presidential election and helped generate online slogans and materials to influence voters based on insights gathered from their data. It is now believed to be the agency behind some of the most popular catchphrases of the Trump campaign, such as “Drain the Swamp” and “Deep State” (referring to the belief that certain bureaucrats are working against the president). As Mark Zuckerberg is contemplating the responsibility for this oversight on Facebook’s part and prepares to testify before the Congress on Wednesday, April 11, digital policy experts are calling for greater accountability in cyberspace. 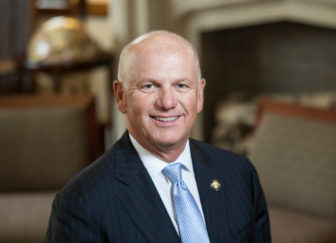 David J. Hickton is the former U.S. Attorney for the Western District of Pennsylvania and serves as the director of the University of Pittsburgh’s Institute for Cyber Law, Policy and Security. In a recent event hosted at Pitt, Hickton said, “We live in an age of anti-regulation” where “the Internet has become an environment for survival of the fittest and the most powerful wins. ...The question is how we regulate this, this problem, so we as a society can manage it and where those regulations are focused.” The other panelists shared concerns over data mining not only by Facebook and related apps but also through Google and its Android products. “When third parties are using Facebook data, they should only be allowed to do so for a good, productive purpose,” he said. Yuldashev uses social media less frequently than he used to and doesn’t share private information publicly. Yuldashev and his friends use Facebook’s group and event features to share information, organize cultural events and maintain a support network in Pittsburgh.Such community pages, he said, are an example of using Facebook for the benefit of users. As I witnessed celebrities like Cher and Elon Musk join #Deletefacebook during the past two weeks, I have not found myself far from following suit. However, I hope that some good will come out of the current conversation about accountability. Perhaps this recent revelation is going to result in a change that will protect more Facebook users and Internet users at large. I’d like to see it spark a movement to develop policies and procedures for cyberspace, which has so far operated largely unchecked. 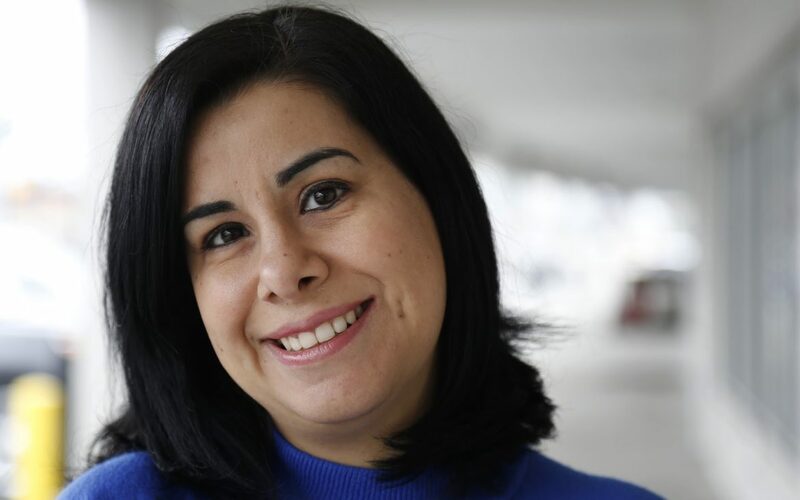 Saima Sitwat is a freelance writer based in Pittsburgh. She can be reached at saimaadil@hotmail.com. Saima is also the president of the Muslim Association of Greater Pittsburgh [MAP]. This story was fact-checked by Chloe Jakiela.